A NEW Torquay shopping centre, a controversial $60 million eco-resort, and a six-storey Esplanade resort in a low-density part of town are expected to gain council approval on Wednesday. The developments, if granted, would follow an endorsement at last week’s penultimate council meeting for a $25million McDonald’s and IGA supermarket at Urangan. Earlier this year, the Torquay shopping complex was approved and Wednesday’s decision should see the building design signed off on. An artist impression, sourced from council’s website, shows a Woolworths supermarket, fast-food and speciality stores. Documentation also revealed the complex has permission to trade from 6am -7pm seven days a week, and would provide 302 car parking spaces, including 63 in a basement level. Controversially for some, the $60 million Rosewood eco-resort at Urangan has been recommended for approval although there still appears to be concerns. Butchulla elders have made it known the area near the Pulgul St site is of significant importance to them. FC Division 10 Cr George Seymour admitted he was worried about the development. “I don’t agree with it, I think it’s still too high-density. It still doesn’t fit with low-density in my view. It’s 22-units-a-hectare, low density is meant to be up to 10, so I think it’s out of character for the area and I can understand residents concerns about it. Also expected to be given the green light is a six-storey resort that will front Beach Rd and the Esplanade at Pialba. The 81-unit project features a resort lounge and reception, spa and gym, squash and tennis courts, swimming pools and playground. WARREN Persal, a Maryborough-born man who “worked his guts out” all his life and became a multi-millionaire, will tear down Hervey Bay’s historic Beach House Hotel in May and rebuild it. The investment is $6 million on top of the $4 million he spent to acquire the property from football legend Norm Provan and a consortium last year. Mr Persal, who owns the historic Carriers Arms in Alice St, Maryborough, has already spent $200,000 on giving the bar a fresh coat of paint, totally refurbishing the beer garden and introducing smart new furniture throughout. “Frankly, this hotel was holding Scarness back,” Mr Persal, 70, said yesterday. “We couldn’t leave it like it is, the layout is all wrong. “We took the lounge furniture straight to the dump. He said there would be no accommodation in the new two-storey complex. Manager Paul Robins said the hotel might open a ‘donga’ to maintain bar service to regular patrons. Mr Persal has hired KP Architects, which recently won an award for best hotel in Australia. “We’ll straighten this one out and it will be great,” he said. THE Maryborough RSL is planning a two-storey expansion worth $6 million, in a move RSL president Bob Evans vows will be “the makings of Maryborough”. “We are building two storeys in the two Adelaide St shops we own next door,” Mr Evans said. “Our offices and poker machines will move into the new building. Construction is scheduled to kick off in June. “This is big for Maryborough and we’re just waiting on final approval from State RSL but we have already commissioned two builders to come up with the final design,” Mr Evans said. “Significant local jobs will come out of this and I am absolutely confident the project is now a goer. The name of the new building is being held tightly by Mr Evans but the hint is a “significant RSL name” will grace the structure. “There’s more on the way when this goes through,” Mr Evans, who has served as president for six years, said. “I’d like to see with members’ support more office space being created in the three shops we own in Adelaide Street on the other side of the club. “I’d like to see Legacy, our library, our sub-branch all accommodated there on ground level so our veterans can easily access services. The committee is already looking at the opportunity to introduce fine dining in the current club poker machine area and to redesign the kiddies’ room with a soundproof glass front. “Our smokers’ area will encompass murals contributed by local schools to commemorate the 2015 Gallipoli centenary,” he said. THE developer behind Maryborough’s RV Homebase has slammed the attitude of Minister for Transport Scott Emerson after he refused to review requirements to upgrade a major intersection. RV Homebase chairman Peter Shadforth met the minister last week and asked for infrastructure agreement, where the department would fund a $750,000 upgrade to the corner of Teddington Rd and Gympie Rd. The company would then pay back the money in increments over the next five years, as the upgrade was a condition of their development being approved. But Mr Shadforth said he had been bitterly disappointed by what he called an anti-industry reaction from the minister in their 20-minute meeting, with a flat-out no to the proposal. “He had made his mind up before he came,” Mr Shadforth said. Mr Shadforth said he accepted it was their obligation to complete the upgrade, but said had he waited for an infrastructure agreement to be included in the development application, he would still be waiting to start the project. “I am not looking for a handout, just some relief in spending in the early stages of the project,” he said. The Tinana retirement village is currently home to about 35 people, with that number expected to double in the next few months. It will eventually have 210 homes with large garages and communal leisure facilities, built to suit grey nomads, at a cost of about $70 million. A representative for the Minister said their priority was repairing flood damage, not bailing out a developer. “Mr Shadforth entered into an agreement committing him to upgrading the intersection at a certain stage of his development,” the representative said. 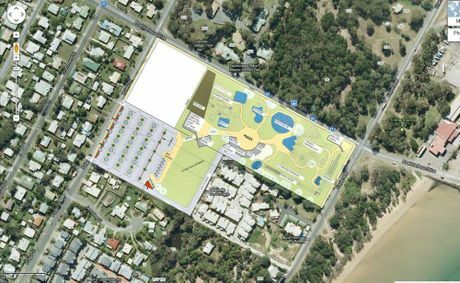 CONCERNS are being raised about the impact a proposed $28 million Urangan water park will have on the surrounding neighbourhood. While acknowledging the benefits Splash Bay would bring to the Fraser Coast, some residents living near the intended site are worried about their quality of life. John Brummell, owner of a townhouse in Seashells, a complex that would be next door to the water park, said he was concerned about the traffic and noise the estimated 300,000 annual visitors would generate. “The noise will be huge,” Mr Brummell said. “There will be no acoustic barriers that could be effective unless they were 15 metres high, and then Seashells would be like a prison. “Then it’s a privacy issue. He suggested other locations with better infrastructure could provide an improved buffer zone, citing recreation areas such as Wet ‘n’ Wild on the Gold Coast as examples of good planning. Satellite images of the Urangan site and Wet ‘n’ Wild reveal the different neighbourhood dynamics. Splash Bay is proposed for what is predominantly a residential zone, surrounded by homes, units and townhouses. 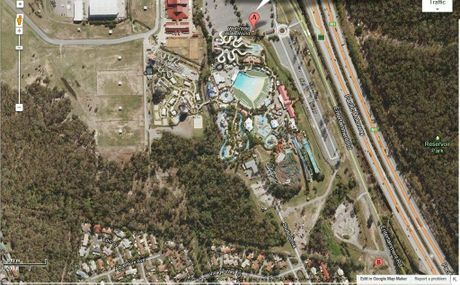 While the popular Gold Coast theme park has green areas on all sides, and the Pacific Hwy running along one of its borders. Another who believes the Urangan venture has been proposed at the wrong end of town is Barry Osborne. He said many people in that neighbourhood bought there with the belief the character of the area would be maintained. “They (the developers) are showing no consideration for residents adjacent to the proposed water park,” Mr Osborne said. Micheal Ellery who is a council executive manager for development assessment indicates a ten day turn around period for applications is a reality despite some teething problems. Heritage Register listing-Medical Centre Main St HB-Industrial shed in MB. So is the local Fraser Coast council finally on track? The results will speak for themselves in the near future as we have tackled rising high council application & headworks charges, slow processing times and decreased perceived property values by professionals in the industry and the public alike. How can it be justified that the smaller areas of the Fraser Coast like Howard, Torbanlea, Tiaro etc have to pay the same development charges to council as the Maryborough & Hervey Bay areas do when the value of property resales bears no resemblance in recent times & developers are unable to makedevelopments in these areas financially viable as the returns are just not there. We shall see where this all goes under the new leadership of the new mayor Gerard O’Connell and his new team recently elected. The Fraser Coast Opportunities partnership continues to gain momentum as it works towards delivering a network of support for businesses across the region. Please help us broaden the network of support by forwarding this enewsletter to a business colleague. Click here for the latest issue to be sent directly to your inbox. » BOOST your business is here! The Fraser Coast has set itself as a major player in the aviation industry with the adoption of the Fraser Coast Airport Master Plan 2011-2031. The plan will guide the development of the airports for the next 20 years to ensure they are safe, competitive and attract development. “This plan will allow the Fraser Coast to firmly position itself as an aviation industry hub for aircraft maintenance and refurbishment and aggressively pursue new business,” Fraser Coast Mayor Mick Kruger said. Council estimates that if the airport precinct was developed to its full potential it would generate 1,432 jobs and inject $71 million into the local economy stimulating the construction industry; creating jobs; attracting new, technology based businesses to the region; and positioning the Fraser Coast as a front runner in regional development initiatives. More information can be found at www.frasercoast.qld.gov.au. BOOST your business is here! Don’t miss the launch of BOOST Your Business, the Fraser Coast Opportunities small business package to take place as part of the Business Hervey Bay networking evening to be held on Friday, 21 October from 5.30 to 7.30 pm at the WetSide Cafe and restaurant. As part of the BOOST Your Business package, Council asked businesses to offer services to new and established small businesses as they set about achieving their goals. Services available include accounting, legal, advertising, financial and banking, business coaching and mentoring. The BOOST Your Business package is an ongoing initiative of the Fraser Coast Opportunities partnership and interest can be registered at any time following Friday’s launch by completing the webform located at www.frasercoastopportunities.com.au. Business Hervey Bay fosters a strong sense of community, while providing a social atmosphere for business people to mix and mingle. It is a free service offered under the Hervey Bay Chamber of Commerce. You don’t have to be a chamber member to attend and events are open to business owners, managers and staff. Entry is by gold coin donation. 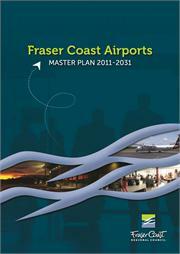 More information can be found at www.frasercoastopportunities.com.au or www.businessherveybay.com.au. The Work for Queensland Mining and Gas Jobs Expo is just days away and will be held at the Brolga Theatre in Maryborough on 28 October. The expo is an opportunity to showcase to mining company executives the region’s capacity to service their industry with employees, goods and services and is being organised by the Queensland Government in partnership with regional councils and major mining and gas industry employers. Major mining and gas industry employers will be on hand to provide job seekers with information on current job opportunities, the range of jobs and careers available in the resources sector; industry pay, conditions and lifestyle and future job opportunities. Resources sector training providers will provide free training and career information and will outline the training options available to pursue a career in the mining or gas industry. or call 1800 773 048. Work has commenced on the construction of a Chinese Garden within the grounds of the Hervey Bay Botanical Gardens. The Chinese garden will be visible and accessible from Elizabeth Street and will be bordered by Dayman Street. The works are being completed internally by Parks Coordinator Glen Rae and his team. An order has been sent to China to supply authentic ‘Chinese’ components for the garden. These authentic pieces will be included within the main entry with dragon and phoenix statues, bluestone flooring and a feature wall. The contemplation court, fountain and moon gate will also feature the authentic Chinese pieces. With the completion of the Maryborough Animal Refuge, plans are now underway to construct a new facility for Hervey Bay. This facility will be constructed off Cicada Lane and will comprise blocks of kennels similar to Maryborough, as well as a new refuge administration facility. Construction of the new Hervey Bay Community Centre is progressing and it is expected to be completed late November 2011. The facility will be the home of the Hervey Bay Neighbourhood Centre who will be managing the complex. More than 20 community groups will also call the centre home. The centre will give Hervey Bay another venue for functions. An accredited day care centre will also be housed within the building. The outdoor area of the facility will include a long timber seat that is being constructed with timbers recycled from the iconic Urangan Pier. Win Constructions Queensland, a local company, has been awarded the contract for the redevelopment of the Maryborough Aquatic Centre. A new 50 metre pool, new hydro therapy pool and a new children’s play area will be part of the redevelopment. Work will be done on the current heated 25 metre pool. All current dressing sheds and administration centre etc will be demolished and replaced with new modern facilities. Construction has commenced and it is expected the works will be completed mid 2012. Construction of the Tiaro Medical Centre is well underway taking over the site of the old Tiaro Shire Council administration centre. The centre will house doctors in general practice and will be used by associated medical agencies in consultant capacities. The centre is scheduled for completion in October. The tender for the construction of the Hervey Bay Cultural Centre has closed and the tender assessment process is underway. At the completion of this process the successful tenderer will be announced and construction of Stage 1 will commence almost immediately. Stage 1 will include the Regional Art Gallery and Interpretive/Discovery Centre. The facility when completed will sit opposite the new Hervey Bay Community Centre. Construction has commenced on the redevelopment and extension of the Maryborough Special Needs Centre & Toy Library in Lennox Street Maryborough. The redevelopment will give much needed extra space for the centre with the construction of a large storage area. The new area will have complete PWD access. Local construction company, Metcalfe Constructions, was awarded the contract. Gary Richards, Hervey Bay Business Awards 2011 Retailer of the Year and sole owner of Whale City Butchery is leading the way in embracing new opportunities for existing business. Recognising the need to develop your business as the economic climate and ways of doing business change, Gary has recently added an online ordering facility to the factory and 2 shop fronts operating under the Whale City Butchery banner. This unique facility is supported by free delivery for orders over $50, and includes delivery to homes outside of Hervey Bay once per week. Despite never having gone online or been one to send emails, Gary works on the basis that, “you’ve got to try anything and everything to try and survive”. In addition to opening a new avenue for his customers, Gary has spent the past 12 months exploring the opportunities that exist for him as the resource sector booms on the doorstep of the Fraser Coast. In early September 2011, Gary attended the Surat Basin conference and personally experienced how other industries can leverage and benefit from the boom in the resource sector. “It was eye opening to see for myself how things operate on a mine site and I would encourage other business owners and stakeholders to do the same thing” Gary said. Gary is continuing to research how his business can become involved in supplying meats to the mines and hopes to soon add them to the list of testimonials he has received as a result of supplying locally to the likes of the Torquay Hotel, Kingfisher Bay Resort and Wide Bay Institute of TAFE. The recent accreditation of Whale City Butchery as a member of the Industry Capability Network (ICN) is sure to help Gary as he continues to work towards ensuring the continued sustainability of a local business that has been in operation for the past 23 years. Contact the Whale City Butchery on 4128 3841 or see their website www.hervebaybutchers.com.au. There are currently no opportunities to tender. Go to www.frasercoast.qld.gov.au to monitor opportunities that may arise. Maryborough Special Needs Centre and Toy Library Redevelopment and Extension Project. Tenders close on Monday 5 September. Click here to obtain more information in relation to this project.